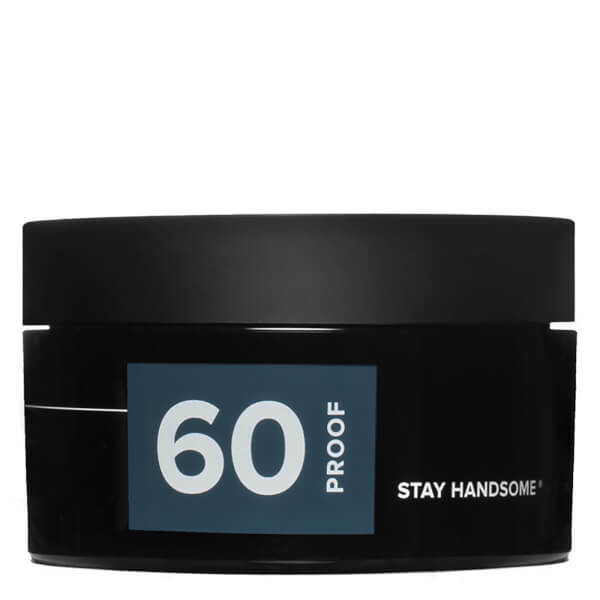 Show your hair who's boss with Blind Barber 60 Proof Hair Wax, a nutrient-rich styling wax with light hold and matt finish. Delivering semi-control that keeps hair in place with a natural finish, the hops-infused product holds hair in place without weighing it down, perfect for adding subtle lift or for creating effortless 'bed head’ appeal. We suggest applying styling products when hair is about 80% towel dry. This leaves enough moisture in your hair to easily manipulate the product in your hair. Once dry and in your desired style, apply a finishing touch through the hair to increase the hold. Emulsify a small amount in hands and apply liberally throughout hair to create a polished and weightless style. Water (Aqua), Ceteareth-20, Cetearyl Ethylhexanoate, Cetearyl Alcohol, PEG-75 Lanolin, Hydrogenated Soybean Oil, Ozokerite, Copernicia Cerifera (Carnauba) Wax, PVP, PEG-100 Stearate, Glyceryl Stearate, VP/VA Copolymer, SD Alcohol 40-B, Caprylic/Capric/Myristic/Stearic Triglyceride, Phenyl Trimethicone, Panthenol, Cystine Bis-PG-Propyl Silanetriol, Fragrance (Parfum), Carbomer, Keratin, Glycerin, Humulus Lupulus (Hops) Extract, Hydrolyzed Vegetable Protein PG-Propyl Silanetriol, Hydrolyzed Keratin, Prunus Amygdalus Dulcis (Sweet Almond) Protein, Mannitol, Aminomethyl Propanol, Phenoxyethanol, Caprylyl Glycol, Benzyl Alcohol, Chlorphenesin, Potassium Sorbate, Sodium Benzoate, Butylphenyl Methylpropional, Cinnamyl Alcohol, Citronellol, Coumarin, Hexyl Cinnamal, Linalool, Alpha Isomethyl Ionone.